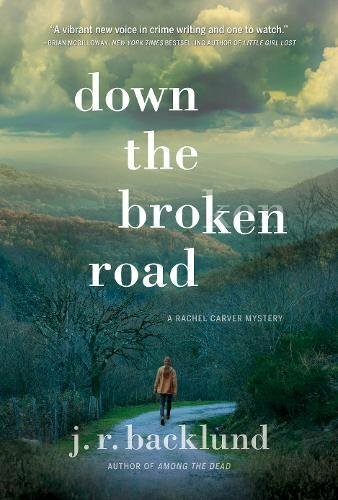 Rachel Carver leaves her job as an agent with the North Carolina State Bureau of Investigation and begins work as a freelance legal investigator. Because of new developments, she's pulled back into an old case she handled with the Bureau, a case that ended badly when she shot a suspect. Rachel is sharp, smart, tough, methodical, courageous, and dedicated to a fault. She's just the kind of investigator you'd want investigating your murder despite the fact that she sometimes takes pleasure in the bottle. "During her time with the SBI, Rachel had had a tendency to let her work take over to the exclusion of everything else in her life. Her family, her friends, her personal finances, her health . . . all pushed aside in favor of whatever case she'd been desperate to solve. Her supervisor, Ross Penter, had warned her about it after she'd resigned. Warned her about her habit of diving in too deeply." "He cocked back to punch her, but she was already moving. She rolled back and brought her hips up. Her left leg snaked around his right. Her other leg hooked behind his left knee. She kicked and he came crashing down . . .
"With a grunt she twisted, using the power of her whole body against his ankle. She heard it pop, and he screamed in pain. But she wasn't finished. She straightened her legs on his contorted knee. She repositioned her hands and pushed on his shin to make it worse. Both of her hands and both of her legs worked against his cruciate ligaments. She felt them give, and he screamed even louder." ". . . She walked right up to him and hugged him, pressed her face against his chest and wept. He was tall and long-limbed, and when he wrapped her up in his arms she felt like she had come home." Down the Broken Road opens when a police officer follows up on a report of a dead body being dragged into a field. Turns out it's news reporter Bryce Parker, and he's still alive, though he appears to be near death. After the officer administers CPR, Bryce begins breathing again and asks for Rachel Carver. In the hospital, Bryce is sedated, and nurses tell Rachel that he had overdosed on heroin. She is skeptical, because she knows him, and has worked with him before. When he wakes up and is able to speak, he wants to talk about that previous case. The one that went bad. The one Rachel was right about, but everyone else was wrong about. At this point, the story, though well written, gets complicated. "Let me make sure I got this," Braddock said. "This big giant guy kills Larson a year ago but gets away with it ’cause everyone believes it was the girlfriend. At least until you give Parker the interview, telling him you think the real killer is still out there. So Parker starts his own investigation, talking to people who knew Larson, one of whom was this guy Adam Hubbard. Then Hubbard turns up dead, what, a month ago?" "But that doesn’t stop Parker. He ends up finding a witness, but before he can convince the witness to go on the record, he gets kidnapped and drugged. He survives the overdose . . ."
With that belated clarification, the rest of the story continues with well-drawn characters and action-packed scenes that take the reader through a series of murders that began thousands of miles away. Backlund deftly handles character development and sprinkles in enough details to make this story and the people in it come alive on the page.